On Sunday, 28 October, 2007, William Osler Health Centre opened its newest health facility to the public. Brampton Civic is an open, accessible, public hospital which provides the community with a modern facility, advanced medical equipment and a comprehensive range of health services. In addition to paving the way for advanced healthcare, Brampton Civic Hospital is the largest healthcare infrastructure project completed in Canada and is one of the first greenfield hospitals built this century. This new facility offers increased capacity, providing improved access to safe and high-quality health services for the community’s growing population. Patients are more comfortable, with larger, more-attractive rooms that are spacious enough to accommodation family members. The massive 1.2million sq ft facility is located in Brampton, Ontario, just west of Toronto and was built to accommodate 608 beds and 18 operating rooms and is the centre of innovation, electronic health records and ultramodern technology. Brampton Civic Hospital replaced an outdated hospital built in 1923 and was designed with the goal of improving the quality, safety, speed and accountability of care to meet standards recently set by the Province of Ontario. Anna Morgado, clinical informatics analyst at Brampton Civic, was involved with implementation and training of the newly-installed Austco Nurse Call system and symbol device integration prior to the hospital’s grand opening. At the old hospital she had worked with another nurse call system, which she described as ‘a box and a bell’. She shares a story from the old hospital of an event where a ‘ghost bell’ was activated and none of the nurses could locate the origin of the call. Through process of elimination, staff went room to room pulling out call cords before finally locating the mystery call bell. 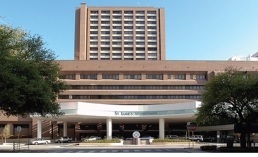 The new hospital needed a reliable nurse call system that would allow staff the ability to provide the highest quality of patient care with optimal responsiveness to patient needs, enhance staff efficiency and mobility, plus reduce intrusive overhead paging, creating a quieter environment. The solution would need to provide an efficient way of answering call bells. 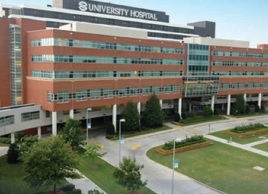 Brampton Civic Hospital implemented an IP Nurse Call System from Austco Communication Systems in October 2007 for its operational flexibility and reliability. The hospital contains more than 2,800 call points (washroom pull cords and patient push buttons), 1,600 over-door lights, and 50 master stations supplied by Austco, as well as 500 of Austco’s multi-functional pillow speakers for nurse call, TV/radio and light control. 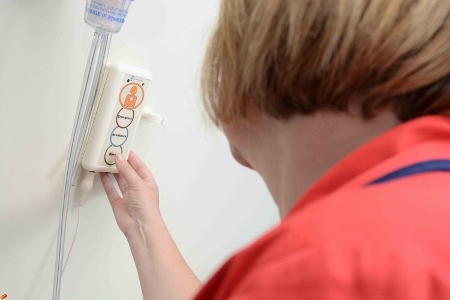 The system incorporates a comprehensive range of call types and priority levels while the integrated software solution is the flue that streamlines and enhances the communication efficiencies with the nurse call system. This event notification, escalation and reporting application provides the hospital’s management teams with detailed reports on staff response times, the number of escalated calls, and call frequency. These simple-to-use reports are generated as needed to provide valuable data to support patient safety and satisfaction. In some of the units at Brampton Civic, patient requests are routed directly to a designated nurse’s wireless device, where he/she is able to communication with the patient immediately. For calls of a non-urgent nature, the nurses can acknowledge the call in real time and either pick up a requested item along the way, or simply answer a question without visiting the room at all. The result is an increase in patient satisfaction, an increase in nurse productivity, and staff members no longer need to send noisy overhead pages to locate a nurse, which creates a quieter healing environment.